A system for complete comfort, relaxation and relief of pain from poor posture related to watching TV or reading in bed. The full system provides a zero gravity position to help relieve strain and tension, allowing muscles and ligaments in the neck and back region to relax. 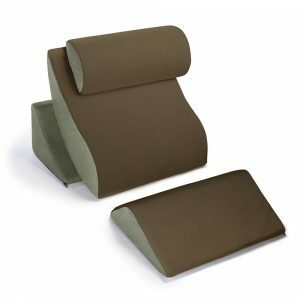 1″ memory foam top. 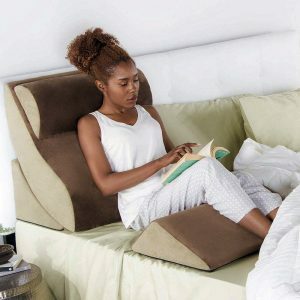 Four pieces that work together in harmony to bolster and support your body for ergonomic comfort while in bed.